We all know that there are many differences among the nations of the earth. They all have their own geography, distinguishing ethnic groups and unique traditions. But at least one thing is common among most countries: we all have stories about how our nations began. So many of us love to hear about the sacrifices and accomplishments of the people who founded our countries. We sing the praises of their heroism. Why do we cherish and share these stories of origin so much? Why is this such an important part of nearly every human culture? Well, there are at least two reasons. On the one side, we talk about the origins of our nations to pass on memories of the past. We want our children to remember their roots, where they came from. But on the other side, we also want to remember the ideals that guided our nations in the past so that we can find direction for the future. Well, something like this was true for the people of God in the Old Testament as well. The ancient Israelites cherished stories about their beginnings and passed them from generation to generation for the same two reasons. They told about the days of their ancestors to remember events long ago so that the great accomplishments of the past would not be forgotten. But they also passed these stories from generation to generation to remind themselves of the direction they should go in the future. This is the first lesson in our series entitled, Father Abraham. In this series we will explore the stories that ancient Israelites told about Abraham, their great patriarch. And we will see that Moses wrote these stories in the book of Genesis so that the Israelites in his day would remember the past, and so that they would also understand more clearly the future God had in store for them. 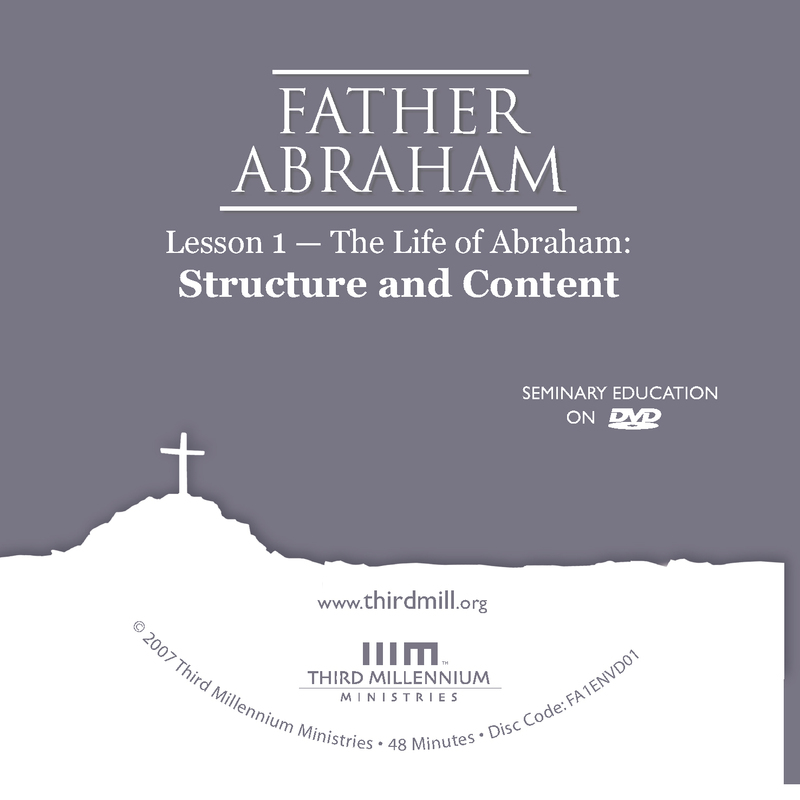 This is the first of three lessons in this series, and we have entitled it, "The Life of Abraham: Structure and Content." In this lesson we will begin our overview of Abraham's life by concentrating on the structure and content of the chapters in Genesis that speak about him. How did Moses structure his account of Abraham's life? What were the main concerns of these chapters? We will explore the structure and content of Abraham's life in two parts: first, we will look at the literary design of this material. And second, we will examine the major themes of these chapters. Let's look first at the literary design of Abraham's life. Whenever we approach portions of Scripture like the life of Abraham that consist primarily of narratives or stories, we must remember that biblical writers did more than simply tell us the truth about what happened long ago. Because the Holy Spirit inspired them to be God's spokesmen, the history that they wrote was entirely true. But the Holy Spirit inspired them to address the needs of the people for whom they wrote, so biblical authors also wrote about history with their readers in mind. They intentionally designed their stories so that these stories would be relevant to the lives of the people who received them. As we approach the record of Abraham's life in Genesis, we can be confident that these stories do not misrepresent what actually happened in Abraham's life. But in order to understand how these stories applied to the lives of Moses' original readers, we must also be aware of how Genesis portrays Abraham's life. And one of the chief ways we can begin to understand how Abraham is portrayed is to explore the literary design of Abraham's life in Genesis. We'll explore the literary design of Abraham's life in two steps. In the first place, we will present an overview of the book of Genesis as a whole, and we will see how Abraham's story fits within the larger picture of Genesis. And in the second place, we will look at the structure of the stories that focus on Abraham's life. Let's begin with an overview of the entire book of Genesis. Throughout the centuries, different interpreters have understood the overarching structure of Genesis in different ways. One approach has been to divide Genesis into ten segments based on the repetition of the so-called "generations" or "Toledot" passages scattered throughout the book of Genesis. And we should admit that there is some value in this large-scale outlook. But we have suggested in other series' that it is much more helpful to think of Genesis in three large sections: the primeval history in Genesis 1:1–11:9; the early patriarchal history in 11:10–37:1; and the later patriarchal history in 37:2–50:26. The primeval history of Genesis 1:1–11:9 presents God's revealed truth about the origins of the world. It speaks of the creation, the corruption of creation, and the reshaping of creation through a worldwide flood. And it holds together as a literary unit in the ways it resembles the patterns of many ancient near eastern primeval histories. The later patriarchal history in 37:2–50:26 tells the story of Joseph. It begins with the story of conflict between Joseph and his brothers, then moves to Joseph's rise to power in Egypt and Joseph's reconciliation with his brothers in the end. Many interpreters have described this large, unified storyline as a novella about Joseph. Between these first and last sections is Genesis 11:10–37:1. These chapters contain the early patriarchal history, collections of stories about the first fathers of the nation of Israel. In this series, we are concerned with one portion of this middle segment of Genesis. In general terms, the early patriarchal history divides into two parts: the life of Abraham in 11:10–25:18 and the life of Jacob in 25:19–37:1. Now this twofold division may be surprising at first because in Scripture we frequently hear mention of three early patriarchs: Abraham, Isaac and Jacob. So, we might have reasonably expected the literary structure of these chapters to be threefold as well, first telling us about Abraham, then about Isaac and then about Jacob. But in actuality, no portion of the early patriarchal history is devoted to Isaac as the main figure. Instead, he serves only as a transitional figure. His life is told first as a part of Abraham's life and then as a part of Jacob's life. And as a result, the early patriarchal history actually divides into only two main parts: the life of Abraham and then the life of Jacob. Our concern in this series is with the first half of the patriarchal period, Moses' record of Father Abraham. So let's take a closer look at the structure of Abraham's life as it is presented in Genesis 11:10–25:18. Now that we have seen where the life of Abraham fits within the overarching structure of Genesis, we should turn to our next concern: the structure of Abraham's life in Genesis 11:10–25:18. To explore the structure of Abraham's life, we will look at these chapters on two levels: on the one hand, we will simply identify the basic units or episodes of Abraham's life, and on the other hand, we will examine how these various episodes have been arranged into the portrait of Abraham we have in Genesis. Let's first identify the basic units or episodes of Abraham's life. First, Abraham's favored lineage (in 11:10-26), a genealogy that describes Abraham's family heritage. This passage is followed by an account of Abraham's failing father (in 11:27-32), a second genealogy that describes Abraham's travels with his father Terah. Abraham's migration to Canaan (in 12:1-9), the story of Abraham's initial call and travel to the Promised Land. Abraham's deliverance from Egypt (in 12:10-20), the time when Abraham sojourned in Egypt and God delivered him. Abraham's conflict with Lot (in 13:1-18), the story of struggle between Abraham's men and Lot's men. Abraham's rescue of Lot (in 14:1-24), the time when Abraham went to war to rescue Lot from kings who had captured him. Abraham's covenant promises (in 15:1-21), the account of God's covenant assuring Abraham that he would have many descendants and a permanent homeland. Abraham's failure with Hagar (in 16:1-16), the time when Abraham had a child, Ishmael, with Sarah's handmaiden, Hagar. Abraham's covenant requirements (in 17:1-27), the account of God's covenant that reminded Abraham of the necessity of loyalty to the commands of God. Sodom and Gomorrah (in 18:1–19:38), the story of the destruction of Sodom and Gomorrah and Lot's rescue from that destruction. Abraham's intercession for Abimelech (in 20:1-18), the time when Abraham prayed for Abimelech the Philistine. Abraham's sons Isaac and Ishmael (in 21:1-21), the story of Isaac's birth and the expulsion of Ishmael from Abraham's family. Abraham's treaty with Abimelech (in 21:22-34), the time when Abraham entered into an agreement with Abimelech over land and water rights. Abraham's test (in 22:1-24), the well-known episode in which God called Abraham to sacrifice his son, Isaac. Abraham's burial property (in 23:1-20), the story of Sarah's death and the purchase of a burial site. A wife for Abraham's son Isaac (in 24:1-67), the time when Rebekah became Isaac's wife. And finally, Abraham's death and heir (in 25:1-18), the closing story of Abraham's passing and the record of his descendants. As we can see, the story of Abraham's life follows the basic order of events as they occurred in his life. The stories begin with him relatively young and under the authority of his father, and they end up with Abraham growing old and dying. On occasion, there are allusions and implicit connections among the various episodes of Abraham's life. But by comparison with other portions of the Old Testament, Abraham's life story consists of a series of seventeen relatively independent episodes. Each of these episodes was designed to report events in Abraham's life and to teach specific lessons to Moses' original Israelite audience. As Moses led them from Egypt toward the Promised Land, each of these episodes was to have much to offer them as they lived their lives just as it has much to offer us as we live our lives today. Having introduced the basic episodes of Abraham's life, we are now in a position to explore how these units hold together. How is the story of Abraham unified? What logic organizes them? Simply put, the episodes of Abraham's life cluster around specific themes and these clusters form five symmetrical or balancing steps. First, as we might expect at the beginning of the patriarch's life, Moses' record begins with Abraham's background and early experiences with God. This section includes: Abraham's favored lineage, his failing father, and his migration to Canaan. These chapters explain how Abraham entered into his special relationship with God by focusing on his family's background and his initial migration to the Promised Land. The second cluster of episodes in Abraham's life concentrates on Abraham's earlier contacts with other peoples in 12:10–14:24. It includes his deliverance from Egypt, his conflict with Lot, and his rescue of Lot. These three episodes hold together because they concentrate primarily on Abraham's encounters and interactions with representatives of several groups of people. In these chapters the patriarch dealt primarily with the Pharaoh of Egypt, his nephew Lot, invading kings, the king of Sodom and Melchizedek the king of Salem. The third and central section of Abraham's life focuses on Abraham's covenant relationship with God in 15:1–17:27. This portion of the patriarch's life consists of three episodes: Abraham's covenant promises, Abraham's failure with Hagar, and Abraham's covenant requirements. The fourth section, which appears in 18:1–21:34, turns to Abraham's later contacts with other peoples. These chapters hold together primarily because they concentrate on Abraham's interactions with other groups of people. These chapters describe Abraham in relation to Sodom and Gomorrah. We find Abraham's intercession for Abimelech, Abraham in relationship with Isaac and Ishmael, and Abraham's treaty with Abimelech. These four episodes further illustrate how the patriarch interacted with Lot and his family, as well as how he related to the people of Sodom and Gomorrah, and to the Philistine Abimelech. As we might expect, the fifth and final section of the patriarch's life in 22:1–25:18, deals with matters toward the end of Abraham's life, especially with his progeny and death. It records how God tested Abraham. It records Abraham's purchase of burial property. It records how Abraham found a wife for his son Isaac. And it also records Abraham's death. These chapters focus on Abraham's wife Sarah and her son Isaac (the true heir of Abraham), giving them honor over Abraham's other wives and their sons. Because the episodes of Abraham's life are relatively independent of each other, when people first read about Abraham, they often have a sense of wandering aimlessly from one event to another. They read the stories of Abraham as if Moses mentioned this event and that event with little forethought or planning. But despite this first impression, the stories of Abraham's life are actually organized into batches or groups of episodes that share central themes. Our simple five-step outline reveals that Moses actually planned what he was going to say about Abraham. On a large scale the record of Abraham's life takes the shape of a symmetrical drama. Each part balances with a corresponding part in the drama. In 11:10–12:9, we find attention focused on Abraham's family background and on his initial experiences with God. In contrasting balance with these initial concerns, the closing material in 22:1–25:18 gives attention to Abraham's final years and to his progeny. Beyond this, the second section of Abraham's life consists of episodes that primarily delineate Abraham's interactions with people from other tribes and nations. And by circular symmetry, returning to similar themes handled in the second part, the fourth section of Abraham's life returns to a focus on more examples of Abraham's encounters with others. Finally, in the middle of Abraham's life, are three pivotal chapters that focus especially on Abraham's covenant with God. These chapters form the pivotal center of Abraham's life and explain the fundamental dynamics of the covenant relationship that Abraham and his descendants had with God. The shape of these chapters reveals that Moses carefully crafted his account. He constructed a literary portrait of Israel's first patriarch to draw attention to certain aspects of his life: Abraham's selection to blessing and his rightful heir, Abraham's earlier and later interactions, and Abraham's covenant relationship with God. And as we are going to see, this literary focus was designed to address the needs of the Israelites to whom Moses first wrote these stories. The life of Abraham taught the Israelites how they were to follow in the footsteps of Abraham as Moses led them toward the Promised Land. And as we approach this portion of Genesis, we are going to see the importance of this intentional design time and time again. Having seen the overarching literary design of the life of Abraham, we should turn to the second topic of our lesson on the structure and content of Abraham's life: the main themes of Genesis 11:10–25:18. Although there are many ways to describe the content of these chapters, we will see that the outline we have suggested roughly corresponds to the prominent themes of these chapters. Needless to say, it is difficult to describe the main themes of any portion of Scripture that is as long and complex as Abraham's life. It is just not possible to mention every motif or theme that appears in these chapters. But it is possible to isolate several motifs that are more prominent than others. And as we will see, these major themes in these chapters unify the stories of Abraham's life, and they help us understand the main ideas Moses wanted his original Israelite readers to draw from the life of Abraham. And more than this, we can also see, in these main themes, what God intends for us to learn from this part of Scripture. We will look into the main themes of Abraham's life in two ways: First, we will examine a key passage that introduces the four main themes of Abraham's life. And second, we will explore the ways these themes are unfolded throughout the chapters of Abraham's life. Let's turn first to a key passage that introduces the themes of the story of Abraham. The Lord had said to Abram, "Leave your country, your people and your father's household and go to the land I will show you. I will make you into a great nation and I will bless you; I will make your name great, and you will be a blessing. I will bless those who bless you, and whoever curses you I will curse; and all peoples on earth will be blessed through you" (Genesis 12:1-3). These three verses are packed with significance and can be summarized in many different ways. On a grammatical level, they begin with an introduction in the first portion of verse 1. Then they continue with God's words to Abraham, which divide into two parts. Part one, in the second half of verse 1 through most of verse 2 consists of an imperative followed by three independent verbal expressions. Part two of what God said to Abraham appears in the last portion of verse 2 and in verse 3. This second half follows the same grammatical pattern as the first half. 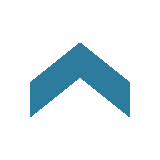 It is introduced by an imperative that is followed by three independent verbal expressions. By looking at these three divisions of Genesis 12:1-3 we can gain some important insights into the significance of this passage. The Lord had said to Abram (Genesis 12:1). A number of modern translations correctly observe that the verb in this line should be translated "the Lord had said" instead of "the Lord said." This translation is important because according to Stephen's speech in Acts 7:2-4, Abraham received his call in Ur before his father, Terah, died in Haran. But in the literary presentation of Genesis, we learn first that Terah died in 11:32 and then we learn in Genesis 12:1 that God called Abraham. For this reason, Genesis 12:1 represents a flashback, a regression in time, and should be translated "the Lord had said." This verse recalls an earlier moment before Abraham had begun to do anything in response to God, long before he had begun to move toward the Promised Land. "Leave your country, your people and your father's household and go to the land I will show you" (Genesis 12:1). As we can see, this section opens with the imperative, "leave" (or as the NIV paraphrases it "leave… and go"). God commanded Abraham to do something: to go to the land of Canaan. This is the first and primary command God gave to the Patriarch. "I will make you into a great nation and I will bless you; and I will make your name great" (Genesis 12:2). These words focus on blessings that God presented to Abraham as he called him. First, God said he would make Abraham into a great nation. Second, he offered to bless Abraham with prosperity. And third, he said he would give Abraham and his descendants a great name, or reputation. "…and you will be a blessing. I will bless those who bless you, and whoever curses you I will curse; and all peoples on earth will be blessed through you" (Genesis 12:2-3). The Hebrew verb, translated here, "You will be a blessing," is imperative in form, and probably designed to parallel the form of the command "leave" in verse 1. But this imperative does not function as a command. It may be translated in a number of ways such as: "and you will be a blessing," or "and may you be a blessing," or even, "and you will certainly be a blessing." In all events, this imperative marks an important transition in thought. It shifts attention away from Abraham receiving blessings (as we have seen in the first part of verse 2) to Abraham becoming a conduit of blessings to others. This second imperative form is also followed by three independent verbal expressions. These three verbs indicate the process by which Abraham would become a blessing to others. First, God said, "I will bless those who bless you…" That is, God would give good things to those who dealt positively with Abraham. When people treated Abraham well, God would treat them well. Second, God promised, "whoever curses you, I will curse…" That is, God would curse those who disdained Abraham. God promised to protect Abraham from harm by responding harshly to those who made themselves Abraham's enemies. But in the third place, God said, "all peoples… will be blessed through you." At first glance, this third focus may seem to contradict the theme of cursing for Abraham's enemies, but God promised Abraham that by means of a twofold process of blessing Abraham's friends and cursing his enemies, God would extend his blessings ultimately to all the families of the earth. So we see that the grammar of the opening of Genesis 12 divides into three main parts: an introduction, a focus on blessings God would give to Abraham and a focus on the blessings that God would bring to the whole world through Abraham. Understanding the structure of these verses in Genesis 12 is important because in many respects the stories of Abraham in Genesis illustrate how these promises God made to Abraham were fulfilled in his life. As Moses wrote about the patriarch, he shaped his stories in ways that drew attention to the words that God spoke to Abraham as he called him to the Promised Land. With this grammatical structure in mind, we are ready to see how the main themes of Abraham's life unfold from Genesis 12:1-3. We will note that there are four major themes that appear in these verses. We will begin with divine grace toward Abraham, then we will continue with the requirement of Abraham's loyalty to God, then God's blessings to Abraham, and finally God's blessings through Abraham. These simple words reminded Moses' original audience that Abraham's relationship with God came about because God had entered into Abraham's life long before Abraham had done anything in service to God. Abraham's call came very early in his adult life. He had not left for Canaan; he had not conquered enemies; he had not committed to covenant faithfulness; he had not prayed for the righteous in Sodom and Gomorrah; he had not passed any test of faith. On the contrary, God called Abraham as his special servant simply because it pleased God to be gracious to Abraham. Abraham believed the Lord, and he credited it to him as righteousness (Genesis 15:6). As the apostle Paul pointed out in Romans 4:3 and Galatians 3:6 the fact that God credited Abraham with righteousness indicated that this was an act of mercy, not a reward for good works. And it was through divine grace and mercy that Abraham received this and many other blessings from God. As Christians we all know the importance of God's grace in our lives. We know that God initiates our relationship with him by his grace and we know that he sustains us in our relationship with him by his grace. Where would we be without the mercy of God? Well, the same thing was true for Abraham. And more than this, God's grace was also essential for the lives of the Israelites for whom Moses wrote about Abraham. They too needed God's mercy in their lives in their day, day after day. And for this reason, as Moses composed his stories of Abraham's life, he drew their attention over and over to God's grace. It doesn't take much imagination to see that this divine call required enormous loyalty from Abraham. He was to leave his homeland and his father's estate behind and to go to a place yet to be shown him. Yes, God had shown mercy to Abraham, but Abraham was also expected to show deep-seated, loyal service to God. Unfortunately, many Christians tend to think of Abraham merely as an example of faith and trust in God. This is an important theme in Abraham's life and it is highlighted in several New Testament passages. But we must never overlook the fact that God commanded Abraham to be obedient, to give him his loyal service. God required loyalty from the patriarch many times. He was to be faithful to God in every circumstance. Perhaps the most dramatic example of a time when Abraham was required to show his loyalty to God is found in Genesis 22, a time when God commanded the patriarch to sacrifice his son Isaac to prove that he loved God more than he loved his son. It would be hard to imagine a higher requirement from God. "Go to the land I will show you" (Genesis 12:1). As this passage demonstrates, Abraham was required to go to the land that God would show him. Abraham was to inhabit the land of promise, and this theme appears many times in the stories about the Patriarch. It was very important to the larger plan of God both for Abraham and his faithful descendants that the Patriarch go to the Promised Land. And when we recall that Moses wrote these stories about Abraham for Israelites whom he was himself leading toward the Promised Land, it is not surprising at all to see this emphasis. As followers of Christ, we understand that although salvation is a free gift of God's grace, God expects us to show our gratitude to him by doing our best to obey his commands. Moses understood this principle as well. He knew that God's grace to Abraham led Abraham to be loyal to God. And for this reason, we are going to see that the requirement of loyalty appears many times as we study the life of Abraham. Moses knew something about his original Israelite audience. They were prone to forget the importance of faithful living before God. Although God had shown them much mercy as he delivered them from Egypt and sustained them in the wilderness, they turned from God's commandments. And for this reason, one of the main themes in the stories of Abraham was Abraham's loyalty to God. This theme appears so frequently because Moses' original audience, and we today as well, need to be motivated to serve God in faithful obedience. "I will make you into a great nation and I will bless you; I will make your name great" (Genesis 12:2). God offered the patriarch three blessings. In the first place, God said that Abraham would become a great nation. His progeny would grow beyond number. And his descendants would actually become an empire, a grand nation. At that time Abraham and those who were with him were relatively few in number. And Abraham had no children of his own. Yet, God promised that the number of Abraham's descendants would one day be more than the stars in the sky. In the second place, God told Abraham that he would bless him. In all likelihood, this expression means that Abraham and his descendants would receive the blessing of tremendous prosperity. Abraham and his descendants would live in abundance and wealth. They would not be wanderers on the earth, nor would they be mere settlers. As Abraham and his children proved faithful, they would enjoy great prosperity. In the third place, God's offer of blessing entailed the bestowal of a great name on Abraham. In other words, if Abraham would go to the Promised Land and serve God faithfully, the massive numbers and prosperity of his descendants would make him and them honored throughout the world. Great glory would come to the patriarch and his faithful descendants. In fact, throughout the stories of Abraham, Moses pointed out over and over that these kinds of blessings were poured out on Abraham. Abraham had sons; he gained wealth as he went from one experience to another. He became a well-known figure in the region. For the Israelites who heard these stories, Abraham's blessings brought great hope for their future blessings as well. The gifts of descendants, prosperity and fame given to the patriarch were mere foreshadows of even greater gifts God would give to Abraham's faithful descendants. As Christians, we have received so many blessings from God that we can hardly name them all. And of course, the Israelites who followed Moses toward the Promised Land had also received countless blessings from God. They had been delivered from slavery; they had increased in number; they had been protected and sustained throughout their entire journey and they were on their way to the land of promise, a land of great blessing in the future. But the Israelites were like us, prone to forget all that God had done for them and what was in store for them. So Moses wrote about God's blessings to Abraham to remind his Israelite audience of the blessings that God had given them in their lives so that their hearts would be filled with gratitude. "I will bless those who bless you, and whoever curses you I will curse" (Genesis 12:3). According to this passage, Abraham would serve as a double-edged sword among human beings. Because Abraham was favored by God, when people from other nations blessed Abraham, that is, when they honored him and thus honored the God whom he served, then God would bless them. But when people of other nations cursed or attacked Abraham and thus disdained Abraham's God, God would punish them. The fates of other peoples depended on how they treated Abraham. In his lifetime, Abraham came into contact with many people representing other nations such as the Philistines, the Canaanites, the Egyptians, and his nephew Lot, who was the father of the Moabites and the Ammonites. These interactions were significant because they showed specific ways in which God kept his word to bless and curse other peoples depending on how they treated Abraham. They also indicated that even in his own lifetime Abraham had begun to become a blessing to the world. All too often it is easy for God's people to forget this important teaching. The Israelites in Moses' day were like many Christians living today. We enjoy the blessing of salvation from God and life from God, but we forget why these blessings have been given to each of us. Each and every blessing God gave to Israel under Moses' leadership and each and every blessing he gives to his church today is designed for a greater purpose. We have been blessed so that we will spread the blessings of God throughout the world. God called Abraham to himself so that Abraham would lead the nations of the world into God's blessings. God called Israel to himself in Moses' day so that they would lead the nations of the world into God's blessings. And God has called the church to himself today so that we may lead the nations of the world into the blessings of God. This theme was so important for the Israelites who first received the stories of Abraham. And it is important for us too as we follow Christ in our day. In this lesson we have taken our first look at an overview of the life of Abraham. And we have focused our attention on the structure, or design, of this portion of Genesis. And we have also examined the main themes, or content, that Moses presented in Abraham's life in the context of this literary structure. As we move forward in these lessons, we will return to the topics of this lesson time and again.  We have seen that the story of Abraham's life has a five-step symmetry. And we have also seen that there are four main themes in Abraham's life: God's benevolence to Abraham, Abraham's loyalty, the blessings of God to Abraham, and the blessings of God through Abraham. These themes not only give us insights into what the story of Abraham's life meant long ago when it was first written for Israel, but they also make it possible for us to apply this portion of Scripture to our lives today.